The media loves AZULI SKYE! New interview requests are arriving daily. The following media outlets have already featured our story and products. Check back soon as this page will be updated frequently. AZULI SKYE Founder, Deb McNaughton, was recently interviewed by nationally renowned Dr. Jane Greer on the Healthy Life Radio Network. Listen to the interview with Dr. Greer now! We'd love to hear what you think of Deb's interview with Dr. Greer. Please post your comments on our Facebook wall. 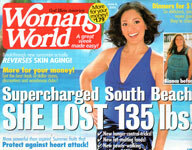 AZULI SKYE was featured in Woman's World. The magazine, which has 8 million readers each week, is the "warmhearted weekly magazine for busy women". AZULI SKYE Founder, Deb McNaughton, was interviewed by Chris Oaks of WFIN (Toledo). Mompreneur and AZULI SKYE Founder, Deb McNaughton, was profiled on TheFamilyGroove.com. THE FAMILY GROOVE is a fun and information-packed online magazine and regional resource guide for savvy parents and parents-to-be. 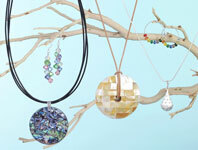 Mompreneur and AZULI SKYE Founder, Deb McNaughton, was profiled on MomtobeDepot.com. Tron Simpson of KCMN (Colorado Springs) interviewed Deb McNaughton about how woman can make extra money in these troubled times.